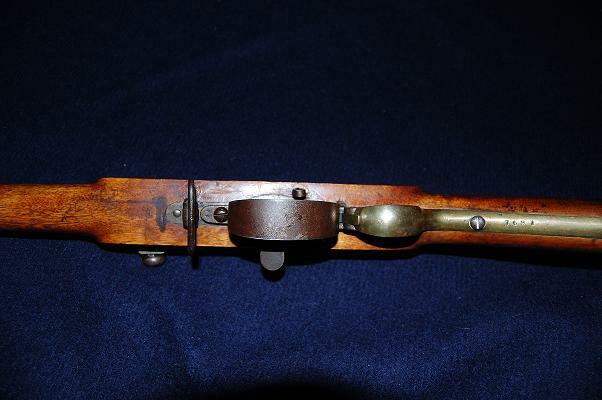 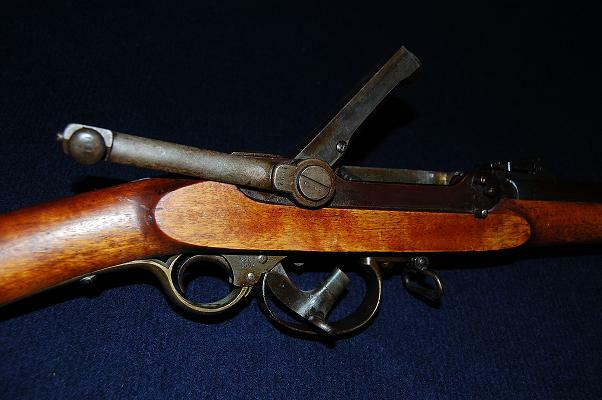 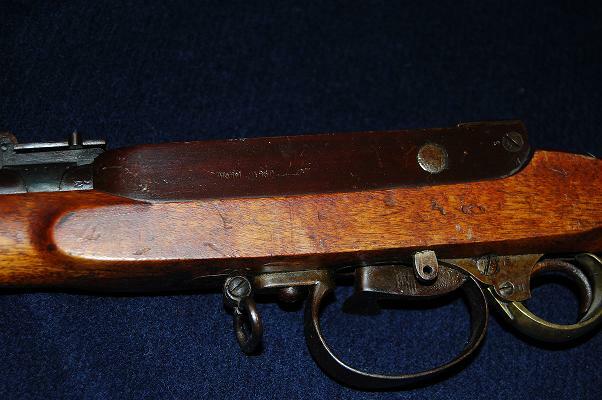 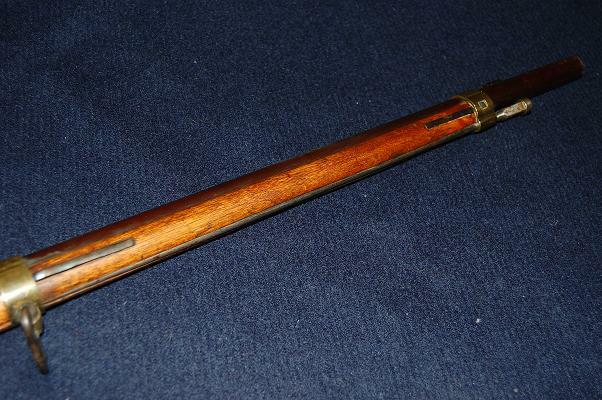 Serial number range: Approximately 1-11800, (This range is shared with the short Lund rifle). 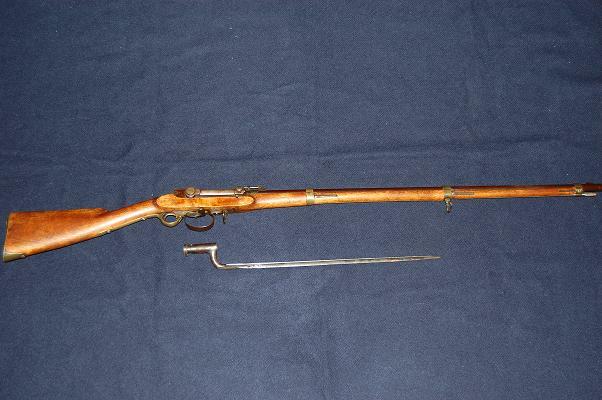 Number produced: About 9000 M1860 long was produced and most of them are rebuilt into M1860/67. 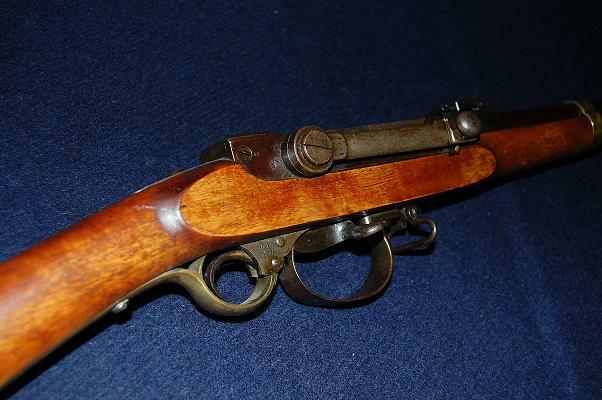 guns are called 4 linjers long Lundsgevær M1867. 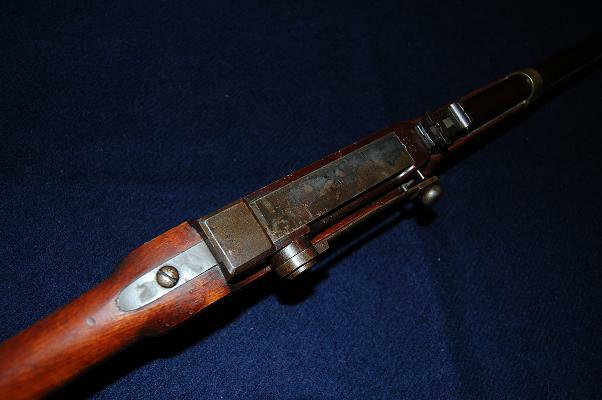 The only difference between the long and short Lund rifle is the extra barrel band on the long Lund and that the barrel is 910 mm, while it is only 755 mm on the short Lund. 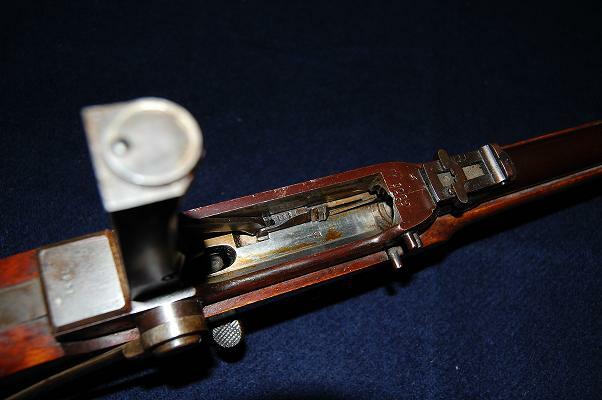 An original cartridge is seen next to a .22LR round in the gallery.